These are all ideas which resonate to the core of what Obama’s campaign stood for originally. The cyclical nature is delightful to notice, allowing us to re-see the older Obama we first well in love with, the one who left us enamored by his poetic speech and inspired by his visionary prowess. Now, no more is there the need for pandering, nor the pressures of re-election. He is here for a term appointed and tis the time to forge on. There was no mention of health care reform in his speech. Why? Because that was in the first chapter of his legacy. A legacy now protected by his reappointment. We are blessed to have reached the middle of his working book, as he articulated so well, writing it means turning to new chapters on immigration reform, education, further recovery of the economy and more. 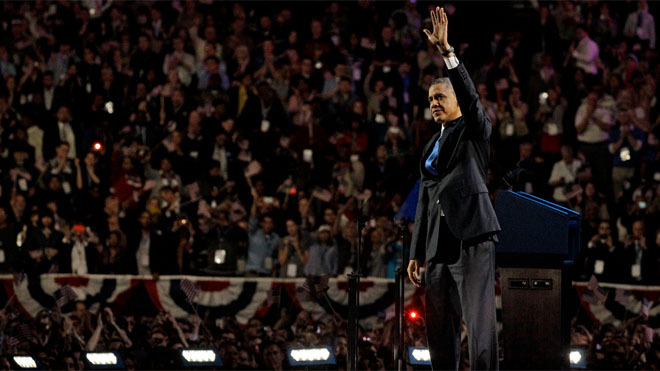 Obama’s speech was hopeful yet not, Utopian. It inspired us through a recognition and an affirmation of his comforting presence. The older Obama we thought we had lost has now once again risen like a Phoenix from the ashes of bipartisan politics, ready to blaze forward. The speech was well received. The rhetoric well appreciated. The message, heartfelt. May God’s blessings for the next four years be upon you. I wish for it to be a golden period that births a legacy, one etched immortal in history and memory. Congratulations Mr. President. Adieu. Man of Steel: Review – Superman. Respect.